Home > Around the Industry > Is renewable energy technology the only way forward? With everyone looking to reduce their carbon footprint, it’s tempting to think that renewable energy technology is the only way forward. But, although that might be the ultimate solution, fossil fuels will remain the only viable option for many businesses for a long time to come. Maximus Green has found a way to reduce consumption and bring down heating costs - all with zero maintenance and a return on investment within three years. These days, all reputable companies want to be seen to be taking their environmental responsibilities seriously, so renewable energy is big news. 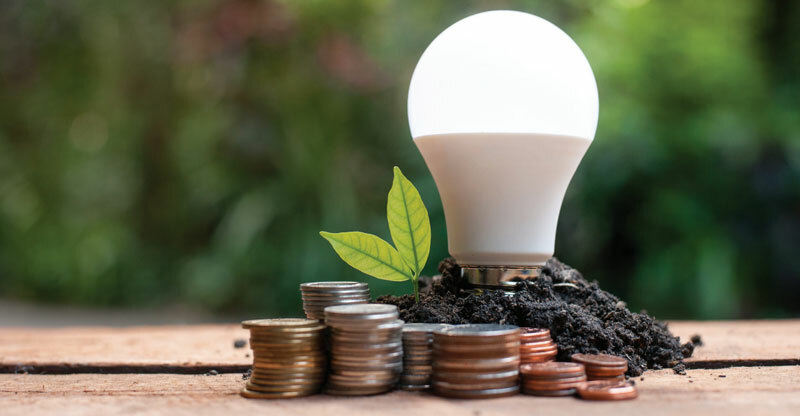 Bearing in mind the fact that reducing emissions and usage often goes hand in hand with smaller utility bills - although these savings could be outweighed by hefty start-up costs, at least initially - it’s easy to see why eco-friendly technology is at the top of many companies’ agendas. But while solar panels, wind turbines and alternative forms of energy generation are coming on in leaps and bounds, for some organisations, moving to renewables remains a pipe dream. Danny Pay, Director of Ramsgate-based company Maximus Green, explained why ditching fossil fuels entirely will not be a reality within our life time. “There’s a lot of talk about going towards solar energy and renewables, but if you really look at the industry, you can see that unfortunately, we’re not going to be getting away from gas and oil for the next 100 years,” he said. “Realistically, for most organisations - especially places like hospitals - you’ll find that their infrastructure is based around boilers and burning through large amounts of fuel. They just don’t have the budget to completely change their infrastructure to cater for renewable systems and there isn’t a system out there that can be retrofitted to suit the existing installation." Maximus Green’s solution is a product called the eeMGee, a deceptively simple concept that can produce impressive fuel savings for commercial customers within weeks of installation. Using the concept of magnetic fuel conditioning, the eeMGee can be fitted to the inflow pipe of any boiler or heating system that runs on hydrocarbons, such as oil, gas and LPG. As the fuel passes through the powerful magnetic field created by the eeMGee, the hydrocarbon molecules in the fuel become positively charged and repel each other. This breaks the hydrocarbon clusters wide open, allowing oxygen molecules greater access to them for improved combustion. “The fuel is conditioned to burn at a hotter temperature, which means you get a cleaner combustion, the system heats up quicker and you use less fuel,” Danny said. “The average saving for our customers is 16%, although when we’re providing quotations we always go below the average and estimate 12%." The technology is based on the discoveries of Hans Dehmelt, who jointly won the Nobel Prize for Physics in 1989 for his work developing the ion trap technique. “Throughout the 1990s, the technology was put into cars but it got a bit of a bad press because there were too many variables in cars at that time; some people said it worked, some said it didn’t,” Danny said. “Then it all went quiet for a while. When we were looking to start a company, we considered various new technologies and found that magnetic fuel conditioning was still being used in Canada. So, we acquired the rights to this product and brought it to the UK, just over four years ago." Although much of the core development work had already been undertaken by the time Maximus Green bought the rights, the British company has made some improvements. As a non-intrusive system, the eeMGee can be fitted to any pipe and once the initial installation has been done by Maximus Green, customers can choose to install it themselves on subsequent sites if they wish. The magnets have a bedding-in period of three weeks as the field penetrates the pipes, but the company is so confident that customers will see the benefit, they offer a 100% money back guarantee. “The investment required depends on the size of the organisation, as every system is bespoke,” Danny said. “We aim for return on investment in under three years, which is very good for the modern type of installation. For solar energy, the return is seven years, while biomass boilers take 12 years. We aim for three years, although some systems have come in under two, depending on the type of installation they have." The company is evidently impressing the industry, having scooped Build Review’s 2017 Best Energy Saving Solutions Provider for the UK. Maximus Green is now working with a number of companies offering energy saving solutions to fit most expected needs in every sector. Maximus Green has worked with Breakthrough funding, a company that helps UK SMEs achieve R&D tax credits - a government scheme created to enhance and reward innovation amongst UK businesses. Could you be eligible? Click here to learn more.